I think it is a Giant Crab Spider. 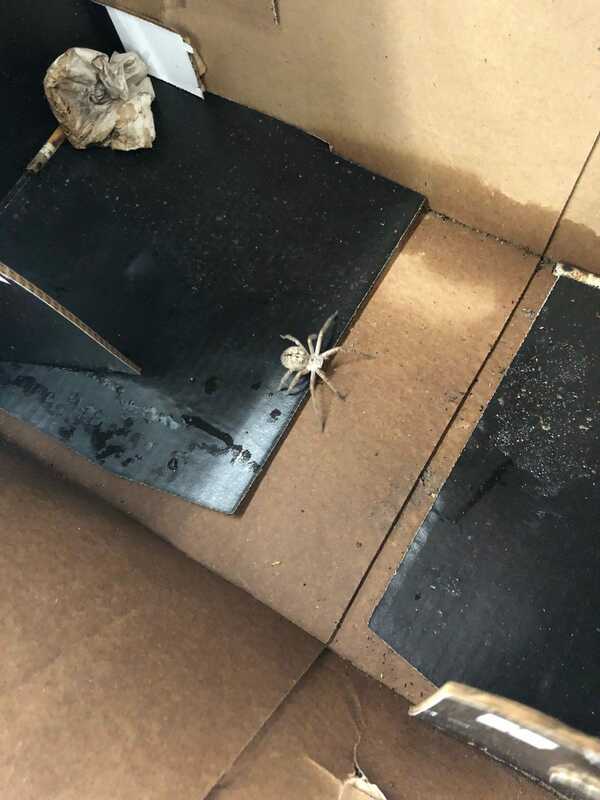 My boyfriend found this little guy in a box out in his work parking lot at Walmart. You are close. It appears to be one of the Huntsman Spiders, one of the Olios species. It is in the same family (Sparassidae) as the Giant Crab Spiders.